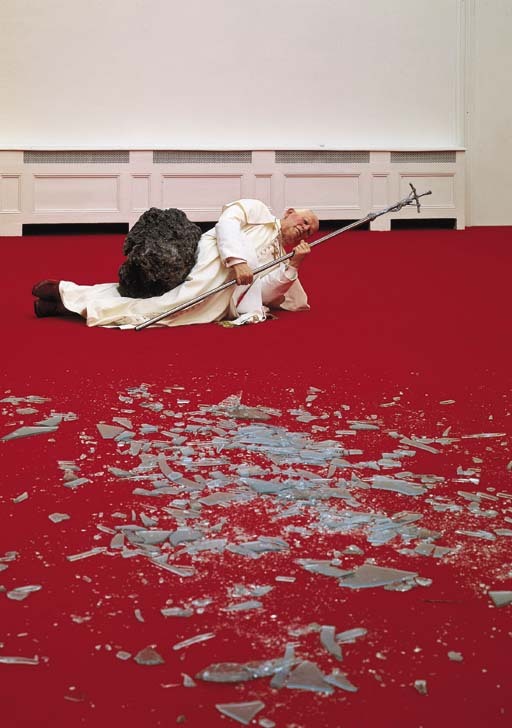 Maurizio Cattelan’s installation of La Nona Ora (The Ninth Hour) is a life-sized effigy of Pope John Paul II struck down by a meteor. 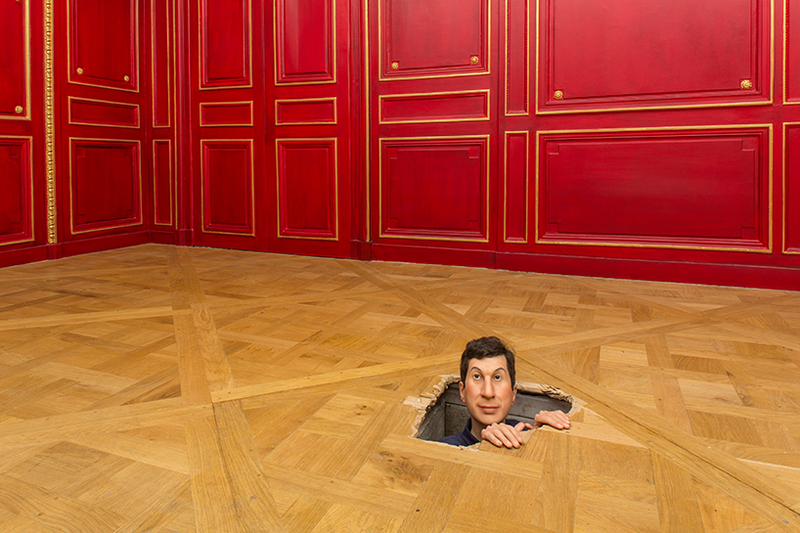 First exhibited in 1999 at the Kunsthalle Basel, La Nona Ora was featured at the Royal Academy in London in 2000, and also at the Zacheta Gallery of Contemporary Art in Warsaw. Christie’s sold the piece in 2001 for $886,000, and a second version was auctioned by Phillips, de Pury & Company in 2004 for $3 million.